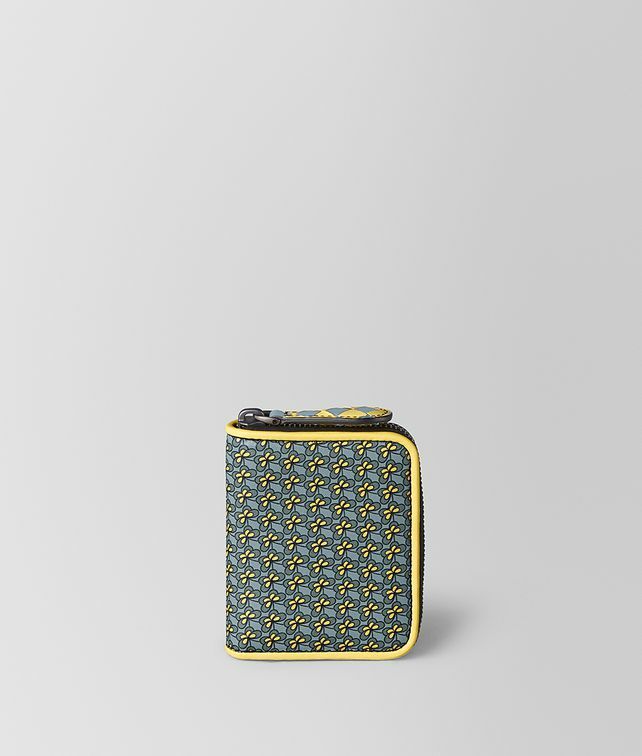 This compact coin purse is made in soft nappa leather in a graphic micro-print featuring the butterfly, a house code of Bottega Veneta. The playful style features nappa trim in a contrasting colour and an oversize zip pull in Intrecciato Chequer. Fitted with four card slots and one flat pocket for notes and receipts.